Whether you need to repair Windows 10, reset the operating system, or restore from a backup or boot file in safe mode, you should go to the Advanced Startup Options menu. There are several ways to navigate to Advanced Startup Options, depending on whether you can boot or not. On many computers, if you press F11 once the computer is turned on, you can open the Advanced Startup Options menu. If you have a USB or DVD installation disc, you can turn it on and enter a list of advanced startup options in this way. 1. Create a bootable Windows 10 installation disc if you do not have a disk. We have instructions for making a bootable installation engine. 2. Boot from disk. You may need to press the button on your laptop to say to boot from removable media. If Windows 10 has a startup error, you may end up with a list of advanced startup options at boot. If you can enter the Windows 10 logon screen, you can enter the Advanced System Options menu. 2. Hold the switch and click Restart. 3. 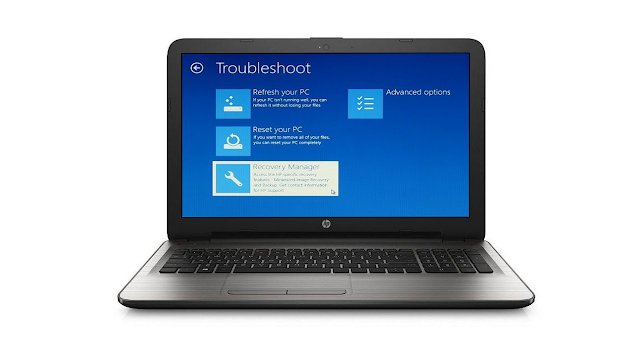 Click Troubleshooting on the screen that appears. If you are already on a Windows 10 desktop, entering the Advanced Startup Options menu is easy. 1. Go to Settings. You can get there by clicking the gear icon in the Start menu. 2. Click Update and Security. 3. Select Recovery from the list. The computer will turn on in the options menu.